Do you have favorite bookmarks on your iPad? Want to show them in the toolbar while in Safari to make them easier to access? Go to the Settings app on your iPad, then tap on Safari settings and tap on the slider for Show Favorites. 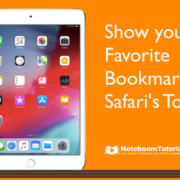 Your favorite bookmarks willow be shown in Safari’s Toolbar. When you connect your iPad (and iPhone) to a wi-fi network, your iPad will remember that network and connect to it in the future if it is available. It’s a great feature that most people don’t think about, and why should you? Well, wonder if you connect to the wrong network and now the iPad connects to that wrong network every time? 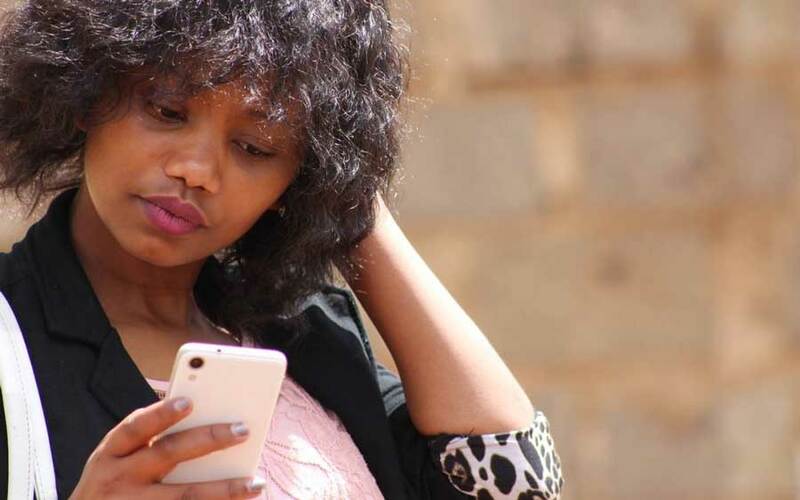 Or you connect to one network and there is a faster network you can connect to in the same area. Wouldn’t you want it to connect to this faster network from now on? This happened to me when I connected to a local brewery’s network and then I went to the restaurant next door. The restaurant has a faster network, so I wanted my device to connect to that network from now on. How do you fix this? By Forgetting the Network. Just go to the Settings app and tap on Wi-Fi. Tap on ‘i’ to the left of the network you no longer want to connect to and you’ll have an option to ‘Forget This Network’. Tap on that and you’ll be able to select the network you want to connect to. The next time you are in the same area or place, your iPad will connect back up to the correct network. If you want to connect to the other network, you can do that too. This tip is also is a great troubleshooting solution for a network that you may be having a problem with. Forget it and then connect back up to it. And, of course, this works with the iPhone too. I’m happy to announce Tutor for Notes for the iPad is now available online to all members! 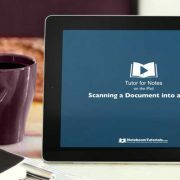 This tutorial includes 20 video lessons for Notes on the iPad, including recovering deleted notes, creating notes from the Control Center and Today view, sorting and pinning notes, adding tables and checklists to notes, formatting the text in a note, adding attachments, scanning documents, protecting notes, sharing notes, and more. 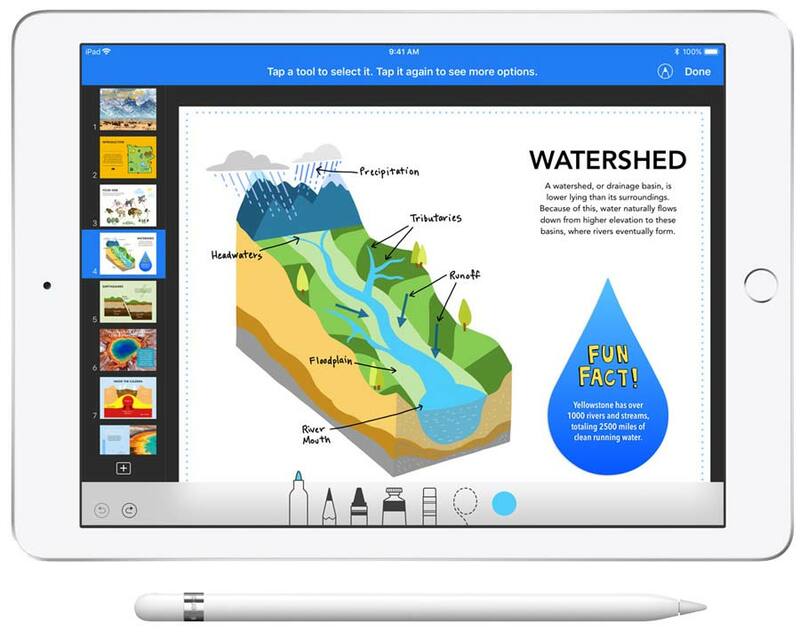 If you use the Notes app on the iPad and you want to make sure you are getting the most out of it, check out Tutor for Notes for the iPad. 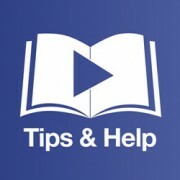 This tutorial is included with our iOS Membership and Premium Membership. Join today to view all the lessons! 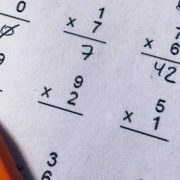 Chances are you’ve ended up somewhere where you needed to do some quick calculations. Perhaps you’re trying to total receipts for an expense report, figure out a tip on your restaurant bill, average your kid’s report card grades, or split a restaurant bill. 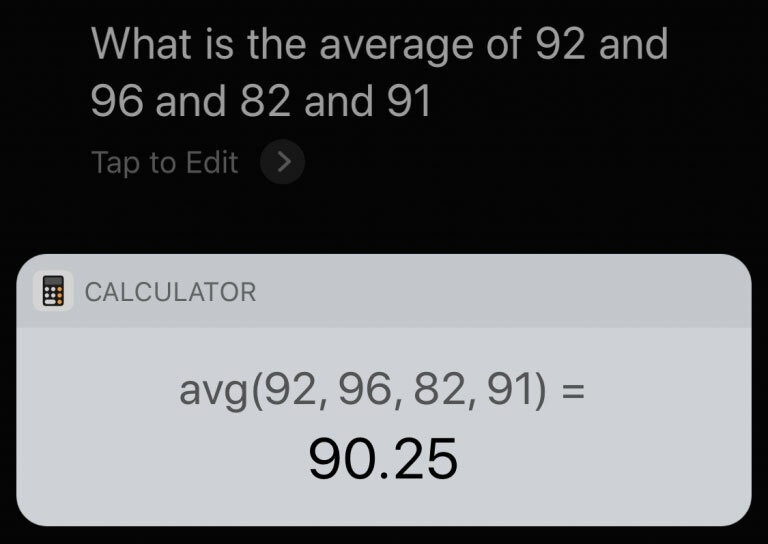 Either way, instead of launching the Calculator app on your iPhone (this app is oddly missing from the iPad), get Siri to do the math for you. For each the above examples, try the following, making sure to speak the decimal point as “point” or “dot.” “What is a 20% tip on $43?” “What is 113.25 plus 67.29 plus 89.16?” “What is the average of 92 and 96 and 82 and 91?” “What is 235.79 divided by 6?” Siri always shows you the calculation, so you can verify that it heard you correctly, just in case you’re doing this in a loud restaurant. Another tip for you – this works great on the Apple Watch too. 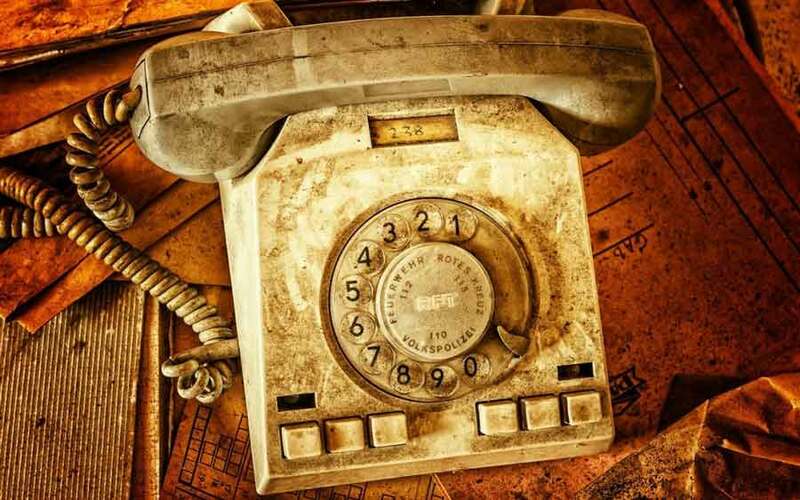 https://www.noteboomtutorials.com/wp-content/uploads/2018/03/Siri-math-photo.jpg 471 1080 Dan Wassink https://www.noteboomtutorials.com/wp-content/uploads/2014/12/nt-logo-white.png?_t=1533823527 Dan Wassink2018-03-29 10:10:402018-04-14 11:51:05Need to Do Some Simple Math? Get Siri to Do It! All iPhones and iPads pick up fingerprints, and with your iPhone, it’s all too easy to get it dirty with ink, lotion, makeup, dirt, food, and oil. 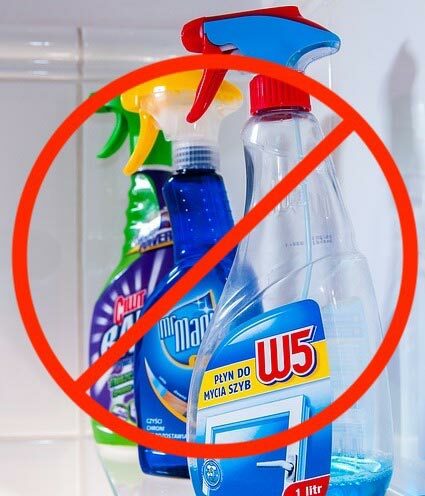 When you are cleaning your iPad or iPhone, resist the urge to spray it with window cleaner, rubbing alcohol, or ammonia, or, even worse, to scrub it with baking soda or Borax. That’s because all iPhones have oleophobic—oil repellent—coatings on their glass surfaces that make it easy to wipe off fingerprints. This coating will wear of naturally on it’s own, but by using these products, that coating will wear off faster than normal. Instead, Apple recommends a soft, lint-free cloth such as you would use for glasses or camera lenses. By the way, even though the iPhone 7 and later have some level of dust and water resistance, it’s important to avoid getting moisture in the openings—most of the time, a lens cloth should be all you need. Recycling an Apple product is as easy as it is good for the planet. Recycle any Apple device online or at an Apple Store. For qualifying devices, you’ll receive a gift card online or credit toward a purchase in the store. We’ll either refurbish the device for resale or recycle its materials responsibly. You can now recycle your old Apple Watch. I’ll be doing this with my first Apple Watch. It’s in good condition, so it’s an easy $75. Check out how to recycle your older Apple products. https://www.noteboomtutorials.com/wp-content/uploads/2017/09/Apple_New_Logo.jpg 1024 1024 Dan Wassink https://www.noteboomtutorials.com/wp-content/uploads/2014/12/nt-logo-white.png?_t=1533823527 Dan Wassink2017-12-07 14:01:372017-12-07 14:00:20Recycling an Apple product is as easy as it is good for the planet. 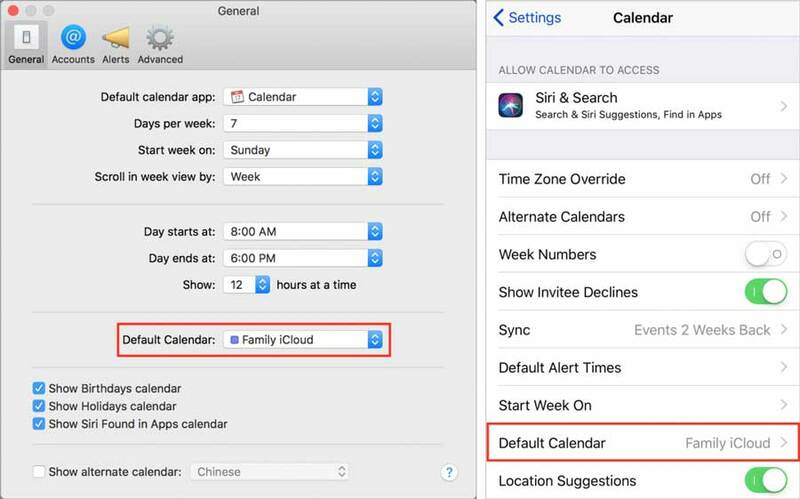 Apple’s Calendar apps on the Mac, iPad, and iPhone let you manage multiple calendars, some of which may be your private events and others may be shared with family or friends. Did you know that you can set one of these calendars as your default calendar? Most of my events go into a calendar called Dan’s Schedule, this is also my default calendar. So now when I create an even, by default it will go into this calendar. On the Mac, you do this in the Calendar app, in Calendar > Preferences > General > Default Calendar. In the iPad and iPhone, set it in Settings > Calendar > Default Calendar. If the iPad’s onscreen keyboard is awkward size—too small for you to type on like a regular keyboard in landscape mode, but also too large to thumb-type on like an iPhone, there’s a hidden feature in the keyboard just for you. When you have your iPad in landscape mode and you’re looking at the keyboard, press and hold the Hide Keyboard button in the lower-right corner, and then slide up to the Split option. The keyboard breaks in half and moves up the screen. (You can also just swipe outward quickly with both thumbs.) 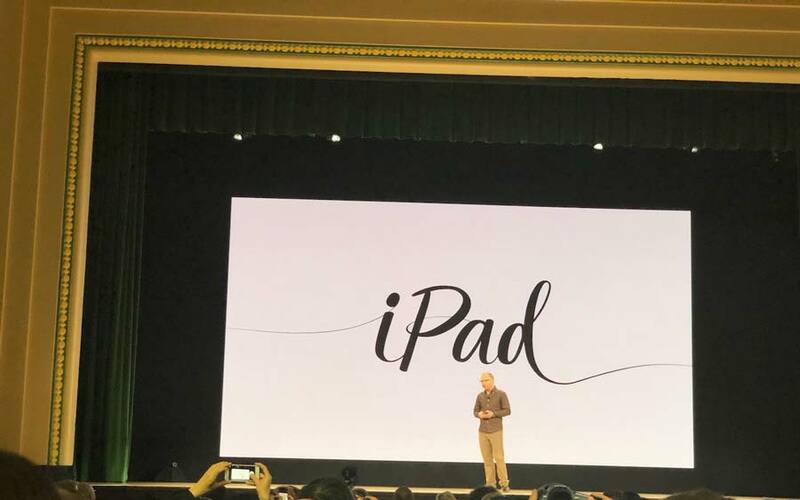 Now you can cradle the iPad in your palms and type with your thumbs. To rejoin the two halves of the keyboard, press and hold on Hide Keyboard again and tap Merge. (Or, swipe inward quickly with both thumbs.) Alternatively, tap Dock and Merge, or drag down on the Hide Keyboard button until it docks at the bottom of the screen. That’s how you can split the keyboard on an iPad to help you type with your thumbs. I hope the tip helps! 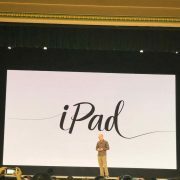 Do you have an old iPad or iPad that you want to sell or give away? I’m sure you don’t want to leave any of your apps, data, or personal information on the device. 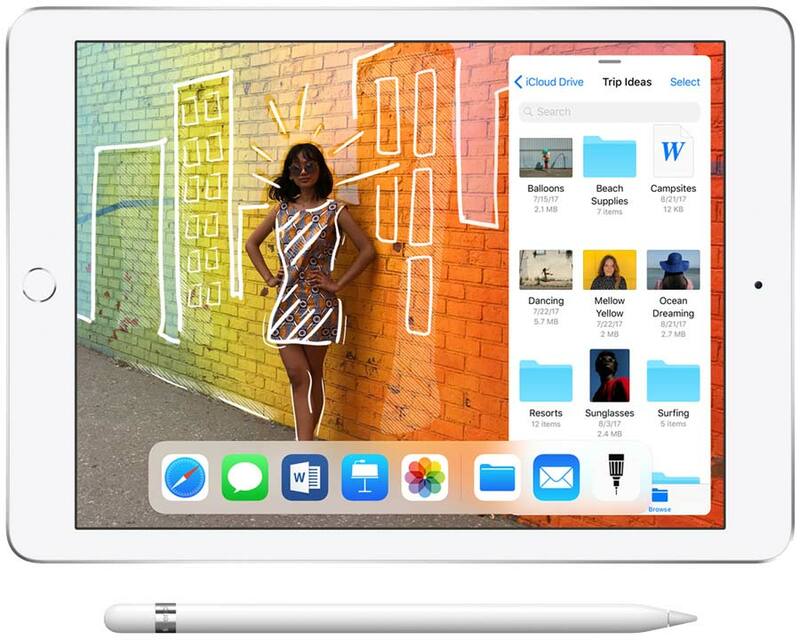 The good news is Apple makes it easy to erase all the data on your iPad or iPhone. This is done by reseting your device to factory defaults. To do this, just go to the Settings app. From there select General. If you scroll all the way to the bottom, you’ll see Reset. Tap on Reset and then tap Erase All Content and Settings. Enter your passcode, confirm the erasure (twice! ), and then type your Apple ID password. After all that, the device restarts just as though you’re taking it out of the box for the first time. Hope the tip helps! In this Tutor Tip by Noteboom Productions we show various keyboard tips for both the iPhone and iPad using iOS 7. Are you using iOS 8? These tips will work for iOS 8 as well! These tips include splitting the keyboard, using other symbols than what is shown on the keyboard, and adding shortcuts. Learn about the Control Center and it’s settings in our latest Tutor Tip by Noteboom Productions, available free online! With the Control Center you have easy access to turn on an off Airplane Mode, Wifi, Bluetooth, Do Not Disturb, and more! You also have easy access to music, a flashlight, and the timer. But is it too easy? 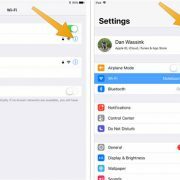 Find out what settings you have in accessing, or not accessing the Control Center on your iPhone (and iPad) in our latest Tutor Tip by Noteboom Productions. The side switch on the iPad can be used for two different options, mute or lock rotation. See how to set the side switch as well as how to access these options from the Control Center in this Tutor Tip by Noteboom Productions.